Like the colour red? 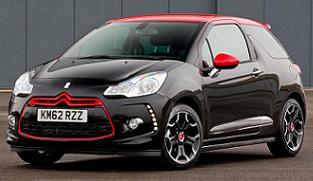 Then the special-edition DS3 Red could be right up your street. There are no mechanical changes to the standard car, so the newcomer handles as sweetly as ever thanks to its firm sports suspension. Available in Black with red roof or White with Red Roof. 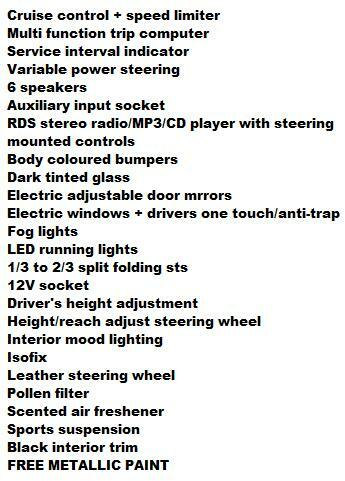 *PERSONAL INCLUDES ALL SERVICING & TYRES. Inside, an eye-catching red strip runs across the dash and around the door handles. 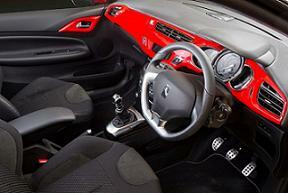 The DS3 DStyle Red includes the Connect Signature pack, which adds an upgraded stereo, extra speakers. Plus Bluetooth and USB connectivity. Special Offers Terms: Citroen DS3 RED 1.6 HDi D-Style prices are on business contract hire or private car leasing deals over 48 / 36 Months. Personal rates includes all servicing, tyres and MOT if required. 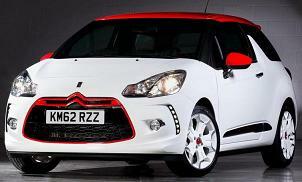 *For more information or alternative prices on the Citroen DS3 Red D-Style cheap lease offers.